A police officer in Grand Blanc, Michigan posed knee-deep in a massive pothole caused by heavy rain on Friday. 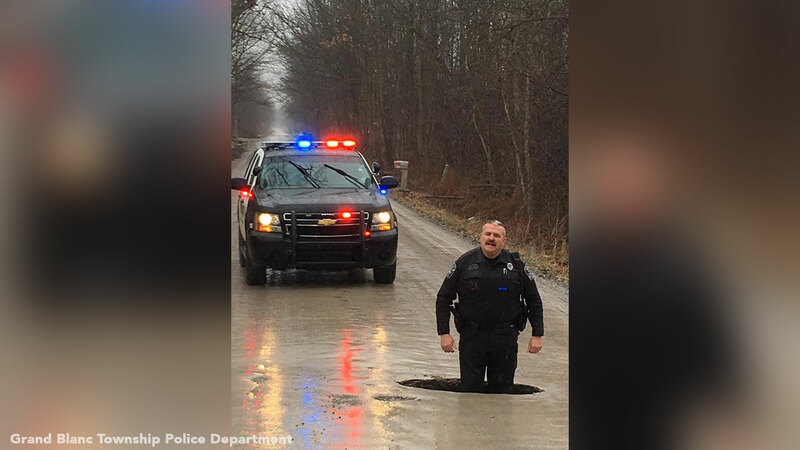 GRAND BLANC, Michigan (WPVI) -- A police officer in Grand Blanc, Michigan posed knee-deep in a massive pothole caused by heavy rain on Friday. Officer Clark, who is 6'5 tall, fit in the pothole all the way up to his knees. The road was temporarily closed while the enormous pothole was being filled, but has since reopened.